At no point in human history has the Earth been warmer than it is today. Responding to this generation’s greatest threat will require thoughtful, collaborative action - and fast. In December 2015, 196 countries came together at COP21 looking to solve this challenge. The resulting Paris Climate Agreement was an ambitious response to climate change with the overall aim of keeping the global temperature below 2˚C above pre-industrial levels by 2050. Now, four years later, we know accomplishing this goal can only be achieved through innovations in energy production as a result of collaboration between governments, global agencies and the private sector. Both will be essential if we are to meet the needs of modern society while limiting impact on the environment. Clean hydrogen energy - that is, hydrogen produced from renewable and low-carbon sources and/or produced with a low greenhouse gas footprint - can, as part of our primary world energy mix, help us achieve the Paris Agreement goals while creating jobs and bolstering economies. When produced from renewable and low-carbon sources such as solar or wind energy, hydrogen has zero CO2 emissions at the point of use. As noted by a recent McKinsey report, at scale, hydrogen could meet 18% of the world’s energy demand, create 30 million jobs and generate $2.5 trillion in sales, all while helping to abate 6 gigatons (Gt) of CO2 annually. These benefits will help us achieve the 2˚C scenario by mid-century. In the meantime, our job is to implement practical steps to get us there, with hydrogen leading the way. Thankfully, investment in hydrogen technology is growing, innovative projects are underway, and key stakeholders - industry, governments and investors - are getting on board. The technology is mature and it is time to scale, but the key to a clean hydrogen economy is greater international and multilateral cooperation. Policymakers and industry leaders must work together if we are to mitigate the effects of and stop global warming. Governments have the power to set the rules and create a policy environment in which industry is empowered to accelerate hydrogen deployment. At the same time, industry players such as energy suppliers, utility companies and transport manufacturers must continue their commitment to develop and supply the technologies that will lead the world towards a cleaner future. 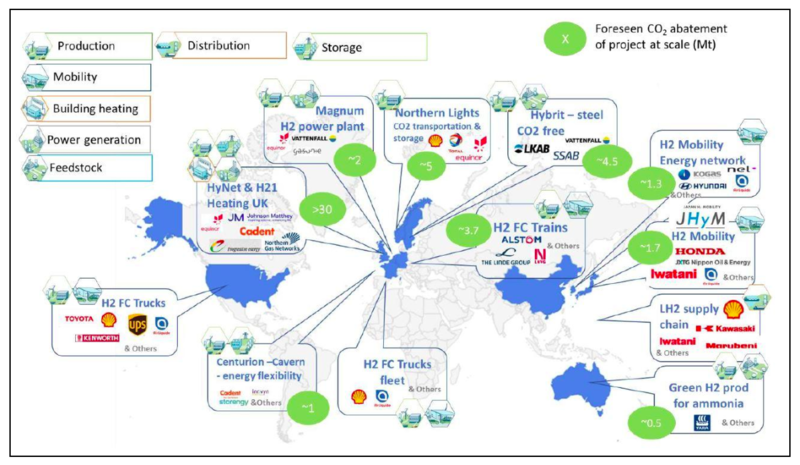 Each has its own role to play, but public-private collaboration is the only way to turn the hydrogen economy from an idea into a real catalyst for the energy transition.